This past week, I spent a day on a ride-along with John Griffin, who leads our Humane Wildlife Services (HWS) program. John and his team are on the road every day in the Washington, D.C. metropolitan area, their trucks loaded down with equipment, solving every kind of animal problem that homeowners deal with – bats in the bedroom, squirrels in the attic, and raccoons in the chimney. It's a fee-for-service program, and it's an incredible resource to have in our home community, one that allows humane-minded homeowners to call in an experienced team to solve their wildlife-related problems and not cause any harm to animals. It was super to see John and his team at work, providing a lifeline to animals and to frustrated and sometimes fearful homeowners. You can do a virtual ride-along by tuning in tomorrow night to the National Geographic Wild channel and watching Raccoon: Backyard Bandit, airing at 9 p.m. EST. This is the story of a raccoon who lives in the heart of Washington, D.C., along with politicians, lawyers, cab drivers, and other urban dwellers. It is a first for Nat Geo Wild in that the story is told from the raccoon's point of view and it has some really amazing footage – some of it never before seen – that comes directly through The HSUS' own Humane Wildlife Services team. Our team partnered with National Geographic to help them gain access to the urban raccoons featured in the story and known to us from our daily jobs. The feature is especially timely as we get closer to Spring, when raccoons and other wildlife use attics and crawl spaces as safe havens in which to give birth and raise their young. When homeowners suddenly find that their attics have become wildlife nurseries, most would prefer to resolve the conflicts effectively and humanely. But for years the yellow pages have offered only "pest control" and "exterminators" as service providers, which usually means death for mothers and orphaning for many thousands of animals each year in a city like Washington. Wild animals living in cities are easy to think about only as "nuisances," whose real homes are in forests or rural lands, not our urban centers. Not knowing any better, homeowners who think they can deal with wildlife themselves often just board up the hole the animals used to enter the attic, trapping the families being raised there. As this show highlights in high definition, it doesn't have to be like that. Humane alternatives exist, as our HWS team shows every day; alternatives that result in better outcomes for animals and people alike. Please read our resources concerning wildlife conflict issues in your home and community, and guidelines for the selection of a wildlife control operator. It is easy to make a humane choice, one that works out right for you, for animals, and for your home. 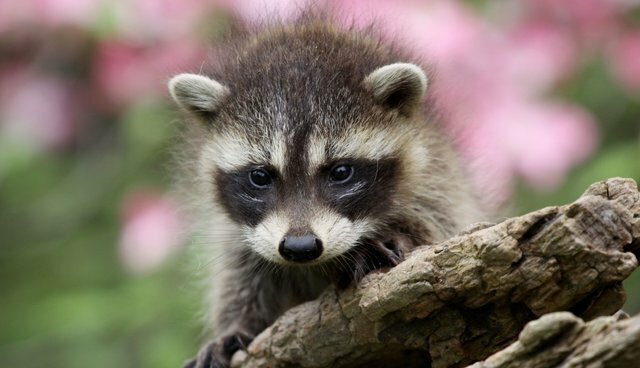 ** Take a sneak peek at Raccoon: Backyard Bandit.